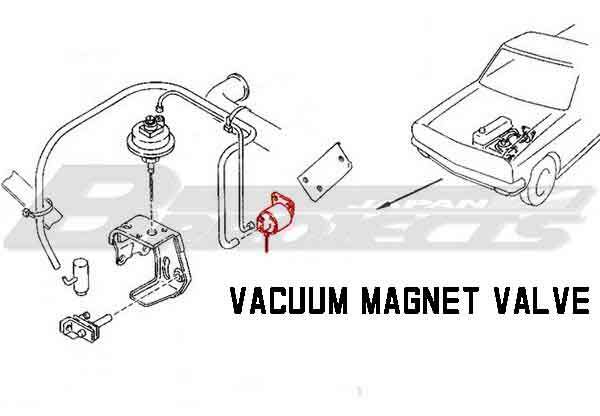 FICD Vacuum Magnet Valve Switch - Specialized shop for Datsun 1200. Available fit to Late Sunny Truck of B122(8910-End) for FICD. x1 Vacuum Magnet Valve Switch. Fast Idle Control Device (F.I.C.D.) was fitted to some Datsuns with sales dealer-fitted Cooler. The FICD raises the idle speed automatically when A/C is ON to respond to the increased load. This switch will be used to the FICD. 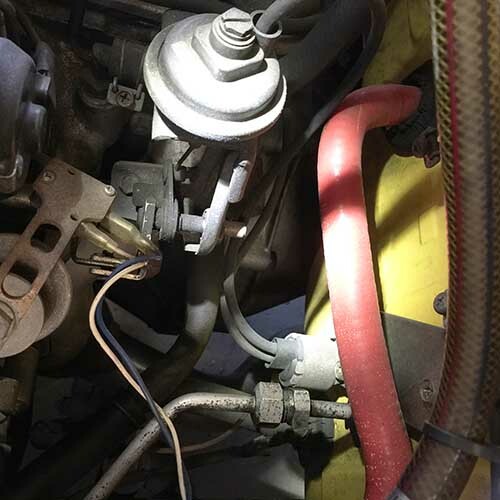 When the switch lets vacuum pass, the vacuum pulls up the diaphragm which lifts the throttle lever on the side of the carburetor.